Choosing the best laptop for Photoshop work can be confusing because it’s hard to know what you really need. Do you need a good graphics card, or a good processor? You might not even really understand what those mean. Does Photoshop even need a good laptop to run on? Let’s be honest, you want to know what the experts are buying; and you want to be given a link to click that will take you to the best laptop for Photoshop at the cheapest possible price. So let’s get to it. We’ll cut through the technobabble and complicated numbers to give you our pick for best Photoshop laptop. In fact, we’ll give you a whole selection of Photoshop laptops suited to a variety of needs, budgets, and special features. Just check the comparison table below to compare each product, read the detailed review, and find a link to the best price for it. In our table, we’ve selected our choices for the best laptops for Photoshop based on the screen resolution and special features. Neither of these is more important than any other aspect of a photo-editing laptop, but these two features are a great way to make a quick judgment about a laptop. As you can see, it’s a mix when it comes to the manufacturer; though Acer has a few spots on this list and so does Microsoft. People tend to have their preferences, such as wanting an Apple laptop for Photoshop or wanting a Microsoft laptop for Photoshop, and nobody is wrong. Each of our listed manufacturers are trusted makers of quality computer equipment, so don’t be afraid to try something new. Just because it’s a gaming laptop doesn’t mean that the Asus K501UW-AB78 isn’t the best laptop for Photoshop work on the go. You’ll also have the ability to play any PC game you like, anywhere in the world, which is definitely a huge bonus to have. 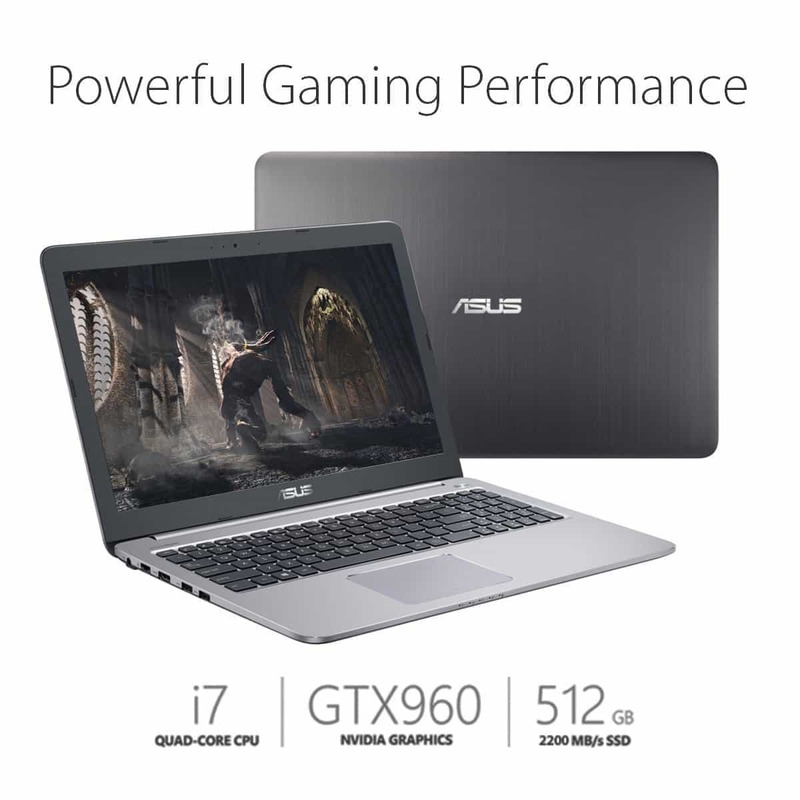 But if you want to be able to install Photoshop and have it run as quick as your creativity, then this Asus laptop for photo-editing has got the speed. An Intel Core i7 processor puts it in the ‘i7 League’ which is the fastest type of consumer processor. 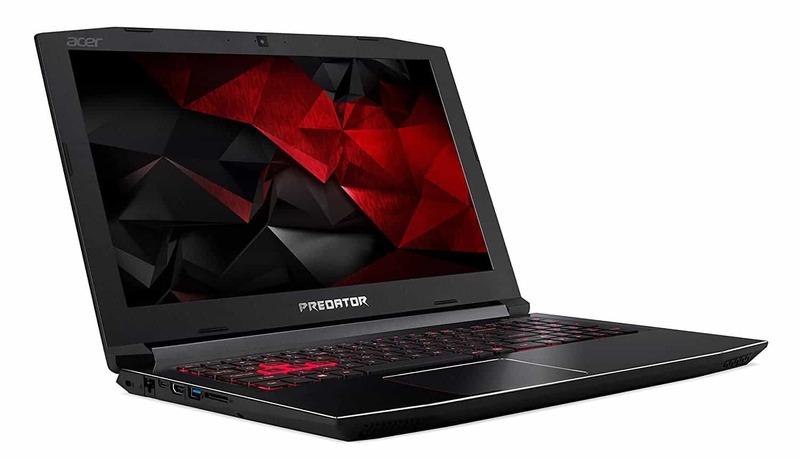 Plus, it has a GTX 960M with 8GB DD4 RAM to handle intensive graphical calculations that come with finely editing a photo. Then, once you’re done, a 512GB SSD hard drive means you have the face-melting speed of a solid state hard drive with a total memory that means you can save large project files without worry. It would be nice to have more RAM, say 12GB or more, but 8GB alongside the powerful processor and gaming-level graphics card will make Photoshop editing an instantaneous experience without fail. Apple has named their Macbook Pro models the exact same thing for over 8 years now, with only long model numbers like ‘MLH42LL/A’ to distinguish them. So it might be confused to compare the different models. However, use our provided link to shop the right Macbook Pro laptop for Photoshop from the right place for the lowest price. With that said, let’s get to the meat of this Macbook Pro review. Apple hardly needs much introduction. 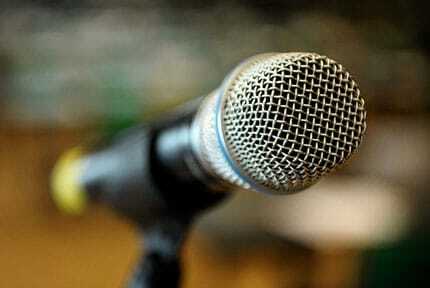 They are famous for both the superb quality of their electronics and the high price tag attached them. Entry into the Apple family is earned at a very high cost, but every penny you pay gives you ample returns. Returns not just in performance, but in build quality too. That’s important because when you’re paying the sort of prices that Apple demands, you want your investment to last. As for performance, the Macbook Pro is the typical choice when choosing the best laptop for Photoshop or graphic design work. Video work too, which this beautiful piece of kit will handle nicely. So Photoshop is no problem at all. Best of all, if features a touch-bar which all Adobe products work perfectly with, and which is a huge selling point from Apple’s point of view. In fact, every inch of the Macbook Pro 15” is designed for Photoshop work. From the touch bar to the retina display, these aren’t features that the average consumer will get the most from. 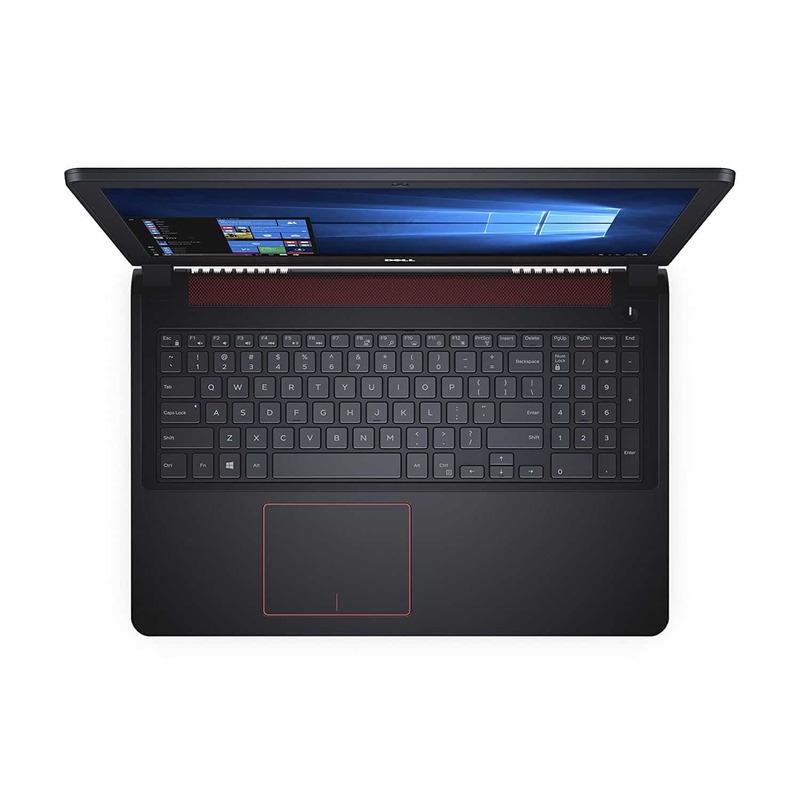 It’s people like you, who want a great laptop or Macbook for Photoshop, that will see the full use of this equipment. The touchpad has multiple gestures for navigating photo editing apps with ease, and it has several USB type C connectors for accessories such as graphic tablets, pens, and more. Plus, the Mac version of Photoshop is said to be far superior to the Windows version, so there’s that too. It’s hard to stress just how perfect this laptop is for Photoshop work, but it’s also impossible to ignore the hefty price tag. But it’s worth it. 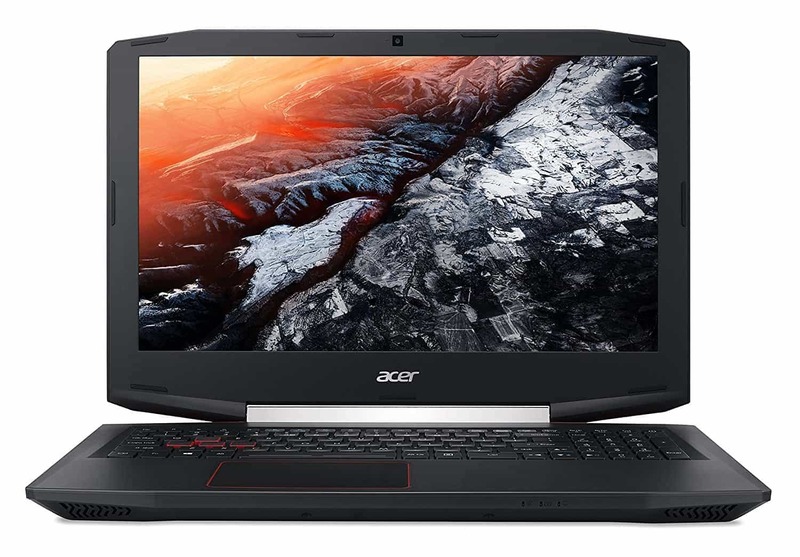 Another gaming laptop, this time by Acer, but no less beefy than the last offerings on this list. It’s also within the same price range because we’re still in the higher than average price bracket. Its specs are as follows: Intel Core i7, NVIDIA GeForce GTX 1050 Ti, 15. 6 Full HD, 16GB DDR4, 256GB SSD. Which, broken down and put into layman’s terms, is a laptop with the best processor and the best graphics card and the most RAM, but with a smaller overall memory. 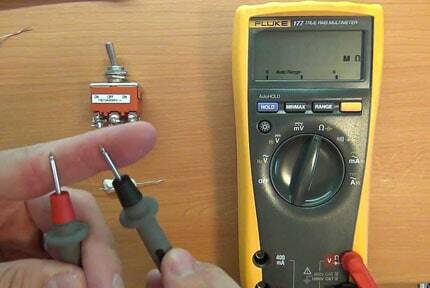 Granted, that memory is also solid state, so it’s very fast memory. 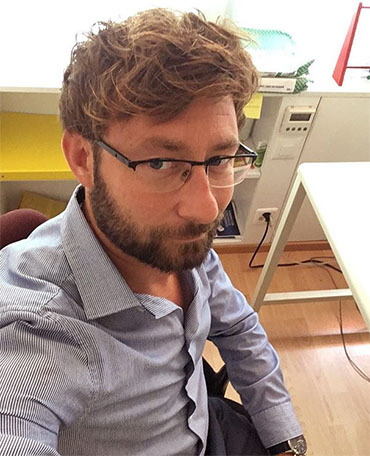 And today with cloud computing making it possible to own a terabyte of data for a tiny cost. So don’t worry about the memory too much. Will this laptop run Photoshop? Yes. And it will run it extremely well in fact. So if you have the fortune of being able to afford this investment, then you’ll have access to the upper limits of what Photoshop is capable of. The obvious downsides are the increased weight of this kit, and the odd edges might not be to everyone’s taste. For some, the design might be a bit too childlike. For most, the contemporary design will be something fresh to consider. But don’t consider too long, because the Acer Aspire V15 might just be the best laptop for Photoshop and so the best laptop for your needs. Microsoft’s Surface Book comes in a variety of processor and RAM combinations, but, for your money, the i5 with 8GB RAM is the point at which Photoshop begins to sing. If you want to upgrade, then it won’t be for better Photoshop performance. It will take everything you throw at it and more, but that’s not the main appeal of this laptop-tablet hybrid. 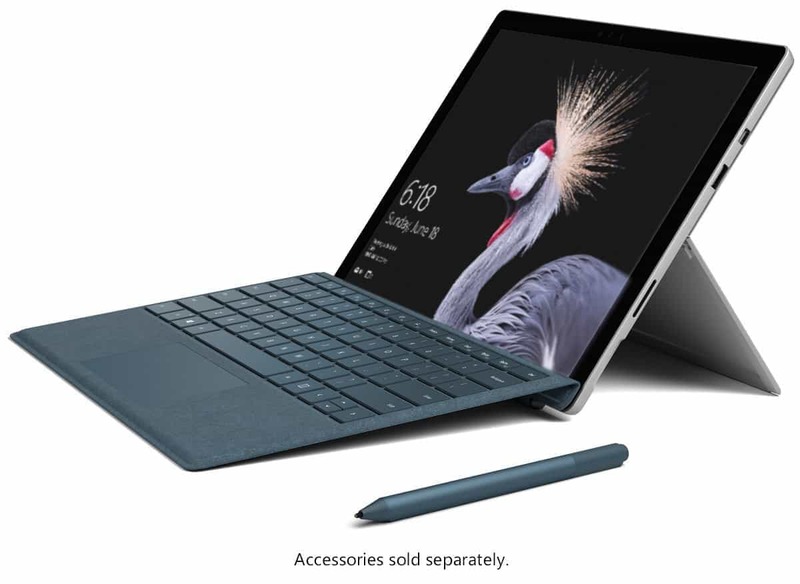 No, the main appeal is the inclusion of the Surface Pen that lets you physically draw, with your hand, onto the surface of the laptop. That means interacting with your photos directly or doing graphic design with your own hand. Digital has put too much distance between the artist and the final product, but the Microsoft Surface Book bridges that distance. It feels so futuristic that there’s just no way your creative juices won’t be flowing after picking up that pen. Even if you can’t draw, it helps you mark down edits to make for your images by letting you simply draw over the pictures and label your ideas. It’s an amazing way to put together a mood board or digital scrapbook. Though, most importantly, it is so much better to use Photoshop with a pen than with a mouse. Gesture support, so you can do complex actions with the touchscreen, means you can quickly zoom in and out, move around images, get super precise with your detail enhancement, and best of all you can do it without any keyboards or mice or other equipment; lying down outside while doing your work is a comfortable possibility. Then, when you want to use the keyboard, sold separately in most cases, you can attach it quickly using the magnetic connector, returning it to its complete laptop form. There are certainly cons, as the design is still (even after 4 generations) rather new. As is the software. All of your software and apps will work on the Surface Pro, as it runs the same Windows 10 operating system as desktop computers though, so don’t worry. It’s not like that one time you tried a Microsoft Lumia phone and realized nobody was making apps for it, the Surface Pro isn’t like that at all. In fact, the Surface Pro is easily one of the best choices on this list thanks to the touchscreen alone. The affordable price doesn’t hurt, either. The trouble with choosing the best laptop for Photoshop is that each person wants something different. Slightly more RAM for multitasking, or raw processing power for intense photo editing and graphic design work. Well with Dell, you have plenty of options to combine and swap features to make sure you get exactly what you need for your specific line of work. Or you can get something that will cover multiple purposes – even some gaming. Be sure to invest a bit more if you’re planning to move into video at any point. Spending a little extra now can pay off in the long run. Dell has, and is, the most reliable provider of desktop and laptop computers. That might sound bold, but Dell is hugely popular for offices thanks to their reliable build quality and affordable prices. 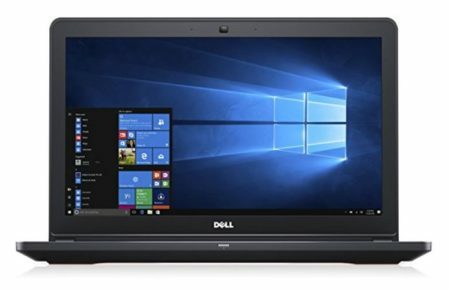 When you invest in a Dell laptop for Photoshop, you’re not going to get the same level of performance as one of the flashier gaming laptop models, but you are going to get a reliable bit of kit that is going to last. Consistent performance is the name of the game with Dell. So if you want your investment to last with as minimal maintenance as possible, you can hardly do better than Dell. A lot of the laptops on this list share a common feature – most of them are a bit fragile. One drop on an unlucky day can mean all that money you spent is now down the drain completely. Not with the Acer Predator Helios with its mostly metal exterior. If a team of elite soldiers needed a high-performance laptop to take on their next mission, it would be this laptop. Also, if you just want the fastest laptop for Photoshop, then this might catch your eye. We will admit that the performance of this laptop is entirely overkill for just using Photoshop with, but only if you’re a more casual user. If you’re a more intense user, then surely you want to be able to have Adobe Bridge open to browse your assets, with Photoshop open in high-performance mode, with Spotify streaming high-quality music, and maybe even with Adobe illustrator and some standalone plugins open to help with vector and print layout. If you buy a cheap laptop for Photoshop, you’ll just end up only being able to use Photoshop, and having to wait for menus and new windows to load. That’s valuable creative time you’re letting slip through your fingers if you don’t stretch your budget a little when buying a laptop. The Helios is a good choice if you want the most up-to-date technology. It’s currently, and probably will stay, the best laptop of 2019 for Photoshop and everything else you might want to use it for. If the Helios is at a price you can afford, and you want the most up-to-date tech available, then this is for you. Buying a laptop for Photoshop work doesn’t have to be incredibly confusing. Though it often is. That’s just because computer manufacturers just love to use long strings of numbers. Or they throw specs at you and then summarise it in a really unhelpful way. For example, saying a laptop is a ‘4.2 Quadcore intel with 2gb onboard graphics’ and then explaining that technobabble by saying ‘fast next-gen power’. Hm, okay. Not sure which version is less helpful. But fear not. We’re assuming you have some level of computer expertise in the following best laptop for Photoshop buying guide, but if not then don’t worry. All of our above recommendations are fantastic choices that you can’t go wrong with. Let’s get memory out of the way first. ‘Memory’ is traditionally used to refer to maximum storage space. Yet ‘memory’ can also refer to RAM, in part because maximum hard drive space is no longer that much of an issue. Nowadays hard drive space is mostly used by marketing and sales people to have a large sounding number to quote. Ignore it. Just think of your phone and how little memory that has, but the world has gotten used to it. We stream our videos online using YouTube and we back up our photos using apps like iCloud and Google Photos. Photographers and people uploading large amounts of DSLR footage to their computer will want lots of space, but external hard drives have never been cheaper. RAM had a few years without much innovation, but these days it’s critical to get a good amount of it. There are also things like DDR3, DDR4, and DDR5 to think about. You can think of DDR as the ‘rating’ of the RAM, which isn’t entirely true, but the higher the number the better. For Photoshop work you need 8GB of RAM minimum. More is better because RAM is the temporary memory banks of your laptop. Think of it as short-term memory vs the long-term memory that is your hard drive. The more RAM, the more your laptop can do at once, making it ideal for multitasking or focusing on a single power intensive program. 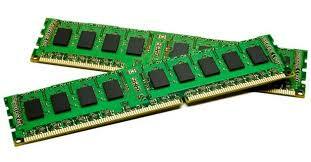 We also recommend you try to get at least DDR4, as DDR3 is starting to become obsolete in this fast moving industry. Screen resolution is another feature that has only just started to really matter to the average consumer. Before now, there was HD (1920×1080) and a few similar resolutions. Now, there is HD, 2k, Retina, 4k, widescreen, and even some curved screens making their way to portable computers. It’s very difficult to recommend the ‘best resolution’, but it is important to say that standard HD 1080p (almost every monitor and TV currently made) is absolutely fine for Photoshop work. 99% of all Photoshop professionals use this standard. Higher screen resolution will help you better see the sharpness of your pictures, but it will also mean that your battery power will be used up much faster than normal. Also, a higher screen resolution requires a more powerful computer to render the image. So, if you’re dead set on a 4k laptop, prepare to spend a lot of money for the same speed as a much cheaper laptop. That said, a 4k screen will make your work look amazing. If you’re going to be printing your work to physical media, then maybe consider going for a higher resolution screen so you can better predict how it will look. Do not underestimate the usefulness of touch screen when using a laptop for Photoshop. Being able to actually write on your screen and direct items around your digital canvas are so freeing that you’ll find it hard to go back to using a traditional plastic mouse to draw with. There are different types of touchscreen, and it’s becoming even more of a selling point as time goes by. Currently, the Surface Pro holds the title as best touchscreen laptop for Photoshop, though others are fairly decent choices too. It’s a laptop. For your lap. If it’s not comfortable there then what’s the point? Or maybe you travel with a nice big bag and just want a computer that will fit in there. It’s up to you what will suit you best. E.g if you’re studying graphic design in college and need something light to work with, but already have a powerful PC in your dorm, then a lightweight Macbook is your best bet. What do we think is the very best laptop for Photoshop work? Well, we think that buying a laptop for Photoshop means buying a lightweight laptop that has plenty of performance with as much RAM as possible. We almost chose the Surface Pro for its incredible touchscreen and pen, but alas, no. The Surface pro is a great portable laptop for Photoshop work, but it lacks in the amount of RAM. The Helios is on the other end of the spectrum, extremely powerful with 16GB of RAM, but just not lightweight enough for our tastes. Meanwhile, the Macbook Pro just demands far too much money for what it offers to be our top pick. It’s still one of our best picks though. So what is our choice of best laptop for Photoshop? The Dell Inspiron. Dell is a company you can trust and while the performance of the Dell Inspiron is also something you can rely on. Adobe Photoshop is known for being a very processor intensive program that is prone to all sorts of bugs and crashes. You need a very stable system to run it on if you want to avoid pulling your hair out and our choice from Dell is the most stable of the bunch. It’s not as flashy as Acer’s Predator Helios and similar gaming laptops, nor is it the symbol of luxury that a Macbook Pro provides, nor is it even as powerful as the Acer Aspire. It doesn’t even come close to matching the resolution of the Surface Pro. But the Dell Inspiron IS the jack of all trades laptop. It’s not master of any particular area, but it has no weaknesses either. In today’s fast-paced market that releases first and fixes later, Dell is an island of reliability.